Incredibly insightful and thought-provoking presentations. Contributors ranged from those who had only recently started their PhD journey, to two who are busy writing up their theses with a view to submitting the finished works at the end of the summer. 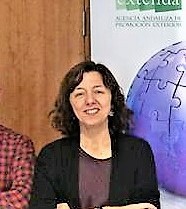 Research interests were grouped in four panels: translation, language and identity, sign language interpreting, and spoken language interpreting. 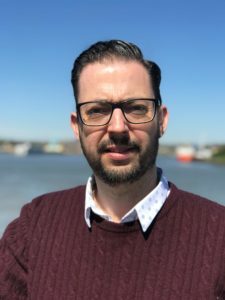 Sites of research ranged from the Heriot-Watt University classroom to Faroese fish-processing factories, by way of theatres and mental health clinics, court-rooms and police custody suites, Google translate and the Galician community in London. 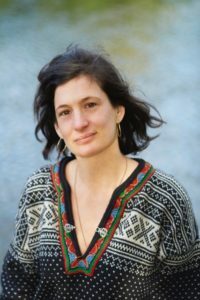 Emmy Kauling: “He’s a professional *something*” – Co-constructing professional identities through interpreted professional discourse. 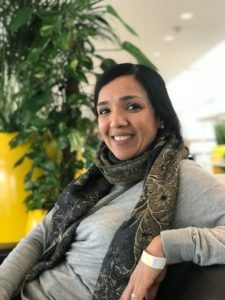 Natalia Rodríguez Vincente: Rapport management in interpreter-mediated mental healthcare encounters: a shared responsibility? Inevitably you can find more information about all these papers on Twitter – post-graduates can be active tweeters! Look for #HWPGRsymp18. The value of the day lay not only in the opportunity for students to present their papers, but also in the responses those papers stimulated. Each presentation was followed by lively questioning and debate and the day was notable for the supportive and collaborative atmosphere created by all the participants. Post-graduates were inspired to think about new aspects of their work, and everybody developed greater insight into the breadth of interesting research that is being carried out across the department. Importantly, we were able to make links between individual research projects that will lead to further discussion where interests or methods overlap. In summary, the PGR Symposium was an important and successful experience for all involved. There have already been calls for it to become a regular feature of the LINCS calendar, perhaps twice a year, to ensure all PGRs have a chance to present their work in the safe environment that the symposium offers. Personally, I hope not to be here for the next one (I’m one of those working towards submission of my thesis in a few months), but I very much look forward to seeing my own Twitter feed filled by photographs and summaries of the research undertaken by future cohorts of LINCS PGRs. I am excited to provide an update on a research project that I have been involved with for the last ten years. The project has focussed on deaf jurors, and whether deaf people can serve as jury members. I initiated the project with law academic, David Spencer, and we examined whether deaf people could comprehend the jury instructions from a judge in a courtroom through a sign language interpreter. We were interested in whether deaf people could comprehend the message indirectly through an interpreter, as compared to hearing people who listened directly in English. We found that in comparison, both groups could comprehend equally, and misunderstood the same (small) level of information, which proved that deaf people are not disadvantaged by accessing the information through an interpreter. In addition, we have also interviewed lawyers and judges who had experience of working with deaf jurors, members of the deaf community, and sign language interpreters, to elicit their opinions as to whether deaf people could carry out jury duties. The majority of the respondents confirmed that they advocate for deaf people to serve as jurors, and in fact it is their human right, as recognised in the United States where deaf people have been serving as jurors in various states since 1979. Along with researcher Debra Russell, I visited the city of Rochester in the US, to observe the a jury selection (empanelment), and the process of a deaf person participating in that process through an interpreter. In addition, with a team of researchers funded by the Australian Research Council, including David Spencer, Sandra Hale and Mehera San Roque, we further investigated this topic and conducted a mock trial where we invited actors to re-enact an actual trial that had previously taken place. We observed how a deaf juror participated in the trial with two interpreters in the courtroom and then how all the jurors conferred in private their deliberations on the case before delivering their verdict. We analysed the video recordings we had made of the whole trial. The main obstacle that many countries have presented as a dilemma was the fact that only twelve jury members are permitted in the jury room (or fifteen members according to the country’s law). Bringing in interpreters would exceed that limit and that was not deemed acceptable as it may impeach a trial and compromise the confidentiality of the jury deliberations. Our research showed otherwise – that the presence of the interpreters did not have any impact on the deliberations and there were no negative effects on the trial. Members of the jury who we interviewed confirmed that it was fine having the deaf jury member with his interpreters, and that there was no negative influence. They affirmed that deaf people can participate in jury service. 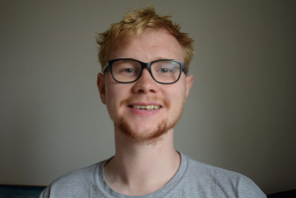 We have published several articles about our findings, one of which was published in the Australian Human Rights Journal, where we stated that if deaf people are not offered the opportunity to serve as jury members, it would breach of their human rights with respect to their right to participate and contribute to society as an equal, especially in justice. 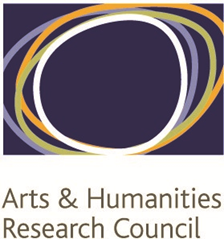 To our delight, that publication has been selected for the Australian Human Rights Journal inaugural Andrea Durbach Award for Human Rights Scholarship. The publication has been recognised as an important one which advocates for the human rights of deaf people. We are very proud to receive the award. 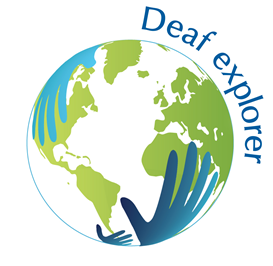 We have worked together with the British Deaf Association, Deaf Australia and the World Federation of the Deaf to promote the impact of this research. The award includes prize money of $1000 Australia dollars. We have decided to donate the prize money to Deaf Australia’s fundraising website Jury Rights for All, which seeks to raise money to fund the campaign to allow deaf and disabled people to participate as jury members. We hope that the donation will support their work. 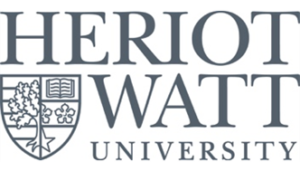 IPCITI returns to Heriot-Watt after 4 years! IPCITI is an annual postgraduate conference organised by students for students and it marks the consolidation of the collaboration between Dublin City University, Manchester University, the University of Edinburgh and Heriot-Watt University. Its main aims are to promote greater participation in Translation and Interpreting research and foster a supportive and intellectually stimulating environment where research and academia can be accessible in real terms. 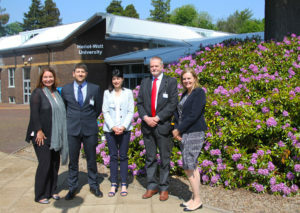 This year, the IPCITI 2017 Organising Committee (Jafar Ahmad, Nga-Ki Mavis Ho, Lorraine MacDonald, Michael Richardson and Paola Ruffo) has worked hard to welcome delegates from all over the world to Heriot-Watt and create a diverse and enriching programme, which included meaningful contributions across all areas of Translation and Interpreting Studies. The conference started with a workshop by Mr Ramon Inglada (CTISS, Heriot-Watt University) on ’CAT Tools: welcome to the cloud-based (r)evolution’ followed by Dr Ana-Frankenberg Garcia’s (University of Surrey) keynote on ‘The use of corpora in translation research’. Day two saw Interpreting research and practice join forces to discuss ‘Interpreting theory and practice in dialogue’ with a panel formed by Prof Graham Turner (CTISS, Heriot-Watt University), Prof Claudia Angelelli (CTISS, Heriot-Watt University), Mr Martin Gallagher (Police Scotland) and Ms Delphine Jaouen (NHS Scotland). A variety of topics has been discussed by our international presenters over the course of these two days, covering diverse areas of T&I Studies such as translation and interpreting technologies, literary translation, interpreters’ training, British Sign Language interpreting, risk in translation, and news translation in relation to ideology and human rights. To quote our Head of School, Prof Robert MacIntosh, who opened the conference: “We have a long heritage of Translation and Interpreting of which we are very proud” – this year’s successful and high-quality IPCITI drove that point home again. You can follow The International Postgraduate Conference in Translation and Interpreting on twitter (@ipciti) and on the dedicated website www.ipciti.org.uk. See you in Manchester for IPCITI 2018! 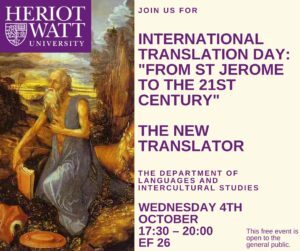 International Translation Day is celebrated every year on the 30th of September, the day of the feast of St Jerome, who was a Bible translator and is considered today as the patron saint of translators. 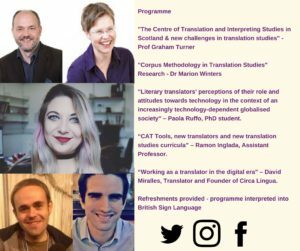 LINCS is celebrating this important day with an event focused on 21st century translators and translation research. There will be talks by Prof Graham Turner, Dr Marion Winters, Paola Ruffo, Ramon Inglada and David Miralles Perez.